GULF CONTRACTORS Co. LLC (GCC) was established in 1988 and is now one of the leading General Contracting Companies in UAE. Complementing the solid business background. GCC, was using separate in-house developed systems to manage each department, like accounting, purchase, fixed assets and in all cases they had to have numerous additional systems to run the business, Data varied between the systems, and no one had the complete picture. As the business grew, it became increasingly important to implement a system that would improve visibility and co-ordination across the organization, improve data consistency and reduce the need to rekey information. 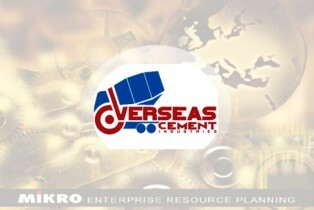 The company decided to implement Enterprise by MIKRO ERP, MIKRO now has 14 users across multiple sites, using functionality including Accounts, Finance, Order processing and Stock, Purchase orders, Project Cost Controller, Supplier and subcontractors, Fixed Assets. The company is also now looking at implementing MIKRO ERP for HR & Payroll to manage labor attendance, Leave Management and Payroll processing as per UAE specification. Accounting, Finance, Procurement, Fixed Assets, Project Costing. We succeeded in the implementation of MIKRO ERP and passed all the obstacles in the implementation of all the sections of the company. The company’s departments has become all use the system like procurement department has been using the system and linked it with the accounting department. Also succeeded in the implementation of the financial management system to follow up on the accounts of suppliers, customers and subcontractors. We also succeeded in managing expenses at the level of different projects and head office level. Also succeeded in managing staff & engineers petty cashes at the level of different projects.